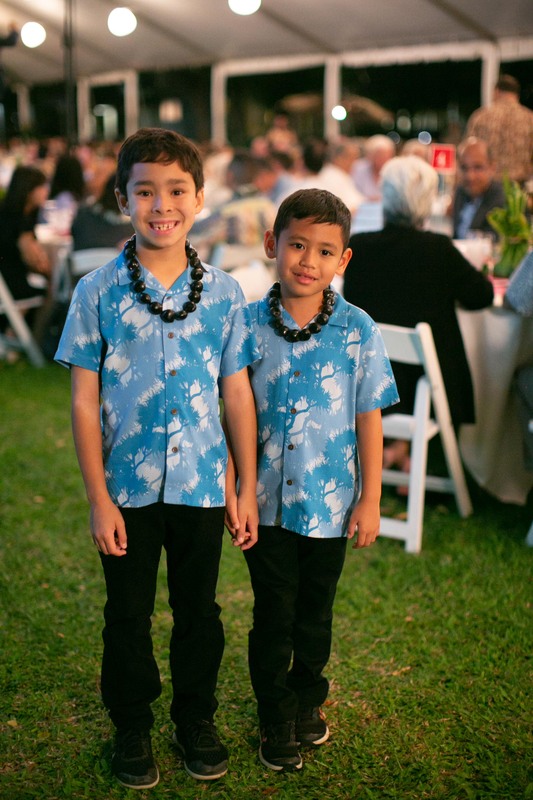 More than 450 guests gathered on the St. Andrew's Schools campus on April 4 for an evening of celebration at the Queen Emma Ball, the school's signature fundraising event. Now in its thirteenth year, this event honors individuals who have had a significant positive impact on the community. This year's dinner featuring student performances and silent and live auctions was a special opportunity for supporters to see the campus first-hand and for numerous alumnae to return to their alma mater. This year, more than $400,000 was raised for student scholarships and financial aid programs to benefit students and their families. Hawaii News Now Sunrise Anchor Grace Lee emceed this year's event. The evening got underway with an oli by Kumu Hula Hiwa Vaughan. Head of School Ruth Fletcher welcomed guests and thanked them for their commitment to education and support of the school. She said it is because of them that more children are able to receive the gift of an extraordinary education. "You are here tonight because you to believe in the power of education – it is a gift you give to a child that lasts them a lifetime," Fletcher said. "Children enter our school with certain gifts, challenges and dispositions. Our goal is to grow their gifts, mitigate their challenges, and help them to recognize their dispositions. We work to create the conditions for growth to happen so each child is ready for the next steps in life." The event continued with a prayer led by The Prep second grader Kamana'o Mills. During dinner, which was created by Chef Ed Kenney, guests enjoyed performances by The Priory Orchestra and The Sovereign String Band. The evening's honorees – Michael Broderick and Maile Meyer and Herb and Nancy Conley – were then introduced with highlight videos, followed by remarks from each couple. "I used to think of my kuleana – or responsibility – as limited to my family," Broderick said in the video. "And then I served as a family court judge. I saw people whose children had been sexually abused, physically abused or severely neglected and as adults, they often suffer from mental illness, drug addiction, homelessness. So for 10,000 cases in family court, I came to understand that my kuleana – responsibility – extended way behind my family to the larger community, especially those suffering the most." "Kenneth Brown said that Hawaiʻi has the least amount of ancestral memory loss, which is a very interesting way to say that as a species, Hawaiʻi is where we still remember our nature," Meyer said in the video. "So if Hawaiian values are ancestral memory remembered, I would have to say the The Priory is a place where those are amplified. I've not been on the grounds of The Priory where I haven't experience what I as a Hawaiian really value." "When Nancy and I started having resources to be able to give back to the community, we then could both give of our time and our financial resources," Herb Conley said in the video. "One of the things we focused on was how we could do this for the long-term. One of the things I'm most proud of is setting up the Conley Family Foundation so that our financial gifts to the community can go on longer after Nancy and I are no longer here." "I was able to get an education thanks to a scholarship and financial aid, so that's very dear to my heart – making sure that students are able to get a good education," Nancy Conley said in the video. "Not everyone learns the same way and we need to structure education as Dr. Ruth Fletcher always says, to meet the student where they are and then guide them to where they want to be and where they need to be." "Thank you, Michael, Maile, Herb and Nancy for modeling the compassionate and courageous leadership that is the hallmark of Queen Emma's legacy and the mission of our school," Fletcher said. "You are living representatives of the lives we want our graduates to lead — lives rich with love, purpose and service to the betterment of humanity." 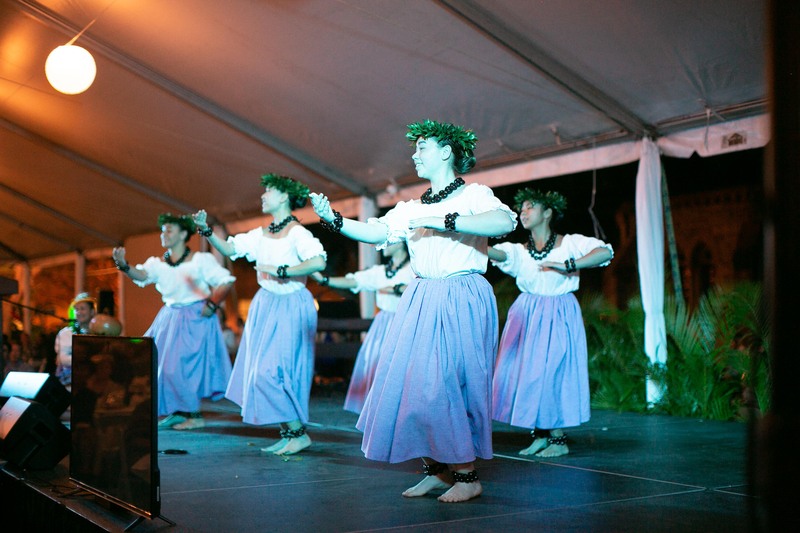 The event also included mele and hula for the honorees under the direction of Orchestra Director Chad Uyehara and Kumu Vaughan and Aggy Kusunoki­­­­. Auctioneer Eric Schiff led the evening's live auction and Olivia Stoetzer '19 addressed the crowd and thanked the school's supporters for their part in assuring students had financial support to help with their education. The evening ended with a lovely rendition of "Hawai'i Aloha" led by The Priory Choir. Mahalo nui loa to all the supporters, faculty and staff who played a role in making this year's event a success. 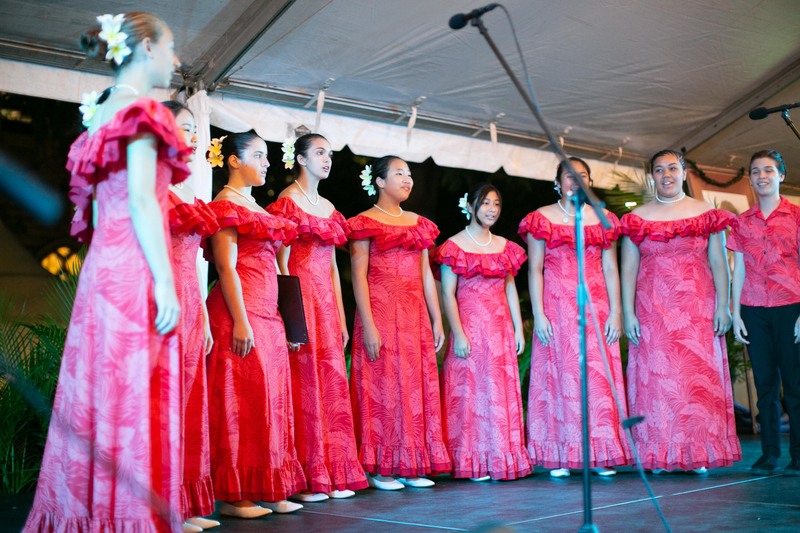 View event photos from this year's Queen Emma Ball.